I was pleased to catch up with Century 21 McLeods Broken Hill real estate agent and Principal Matthew Handberg last week when I visited the City for a long weekend. I have been keen to do a story about the Broken Hill real estate market since I started my blog last December so here it is! I firstly asked Matthew whether there was a noticeably better time of year to sell a property in other words was there some kind of "seasonal" trend? He indicated there was not really an obvious "better" time to sell. This year - 2012 - saw a good July which is mid winter and can be pretty cold in Broken Hill, especially at night. I asked Matthew if some of the new mining opportunities and alternative energy projects such as the Silverton Wind Farm could have a positive influence on the market and he felt that over the longer term, there would be a positive influence. He confirmed my observation of recent sales activity that this was indicative of vendors becoming more realistic. He indicated that if a property was on the market for more than two months it was a sign that the property may be overpriced. 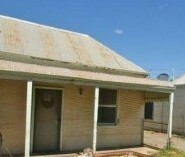 The vast majority of houses in Broken Hill, it should be noted, are sold privately, auctions are very rare. For those not aware, in my home city - Melbourne - it's quite the opposite, especially for inner city property which is for the majority of cases sold via auction. There has generally across the board in Australia, been a little bit more confidence in the property market and lower interest rates also will tend to stimulate the property market. These factors combined with more realistic vendors Matthew felt produce a net result that in general, locals are feeling a bit more confident to upgrade. One thing that is keeping the median price down, which at date of my interview with Matthew on 22 October 2012, was $105,000, was high stock levels at the lower end of the market. Once this begins to clear, the median price should increase. I looked at some figures Matthew provided on Sales numbers and median prices since 1994 from www.pricefinder.com.au and a few points to note are, in that time period, 2003 saw the highest number of house sales - 765 houses sold, and the median price for a property then was $48,000. The next busiest year was 2007 where 665 houses were sold and the median price was $120,000, which was a jump from a median price of $83,000 the previous year (2006). In 2010 only 240 houses sold and the median price was $102,750. Things picked up slightly last year in 2011 where 311 houses sold with a median price of $117,500. This year's figures remain to be seen. Good rental returns are available. I'll have a little more on that topic soon. Real Estate in Broken Hill ?? Before you invest in any real estate you need to do your research, no matter where the property is located. This is particularly important in country towns and especially those dependent on mining or other single industries. I was looking at purchasing an investment property in country New South Wales and have researched a number of towns including Broken Hill, Bathurst, Orange, Dubbo, Parkes, Griffith and a number of others. I’ve been living in Sydney since the mid 80’s but am originally from Broken Hill, born and bred! So because of my emotional attachment I was looking at possible investment opportunities in Broken Hill but have come to the sad conclusion that the town is in its last death throes. I lived and worked in the town in the mid to late 70’s and early 80’s when the population was around 30,000. There was practically no unemployment and plenty of things to do including heaps of sports. It was, and still is a mining town although it does benefit from growing tourism. However, resources don’t last forever and with the closure of the North Mine and others scaling back because of falling commodity prices and out-dated work practices, today the population has dwindled further to approximately 19,500. So, the population has already declined by one third but you still have the same amount of houses available … a huge glut! This has led to a huge drop in property values and an oversupply of rental accommodation. Even if the wind farm and other projects do get the green light, it will have little impact on the huge supply of properties. You may get a very slight recovery if some new projects get off the ground but expect a rapid decline in real estate values over the next 5 years. Thanks for your thoughts regarding real estate investment in rural areas including Broken Hill. You are right that one should do their research before they invest. I am interested to know whether you have visited Broken Hill recently? For starters, you haven’t made mention of the vibrant artistic community that resides in and around Broken Hill and draws tourists in their droves to see their artworks and their galleries numbering around 24 at last count, not to mention the fabulous Broken Hill Regional Art Gallery. Have you seen the wonderful sculpture park or the Broken Earth Complex and Miner’s Memorial? These are all projects that have occurred since the time you worked here and are well worth visiting. Yes the city does indeed benefit from growing tourism as you mentioned, however I am surprised that you believe there is now little to do. There are still many things to do and I know I’m never bored when I visit. Apart from the many cafes and restaurants, there are often cultural events as well. Sport fills a number of pages daily in the local Barrier Daily Truth newspaper, there are two golf clubs and a very active football scene, and many other sports played and enjoyed in the city. There is a wonderful new Sports and Aquatic Centre with a 50 meter outdoor pool and 25 meter indoor pool, just to mention a few sporting possibilities. I also know of at least three gyms. I cannot deny that the number of people employed in mining is certainly far less than in the absolute boom times and the population figures are down from their previous highs. 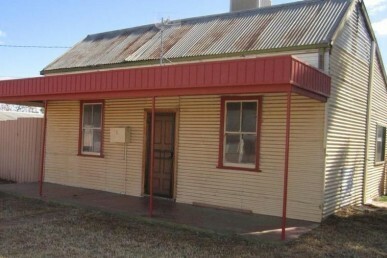 Nonetheless, I have been coming to Broken Hill since late 2002 when a reasonable cottage cost between $30,000 to $50,000. The same homes about five years later were priced between $100,000 to $150,000 approximately. Price rises do tend to be influenced by the fortunes of mining, and yes, prices have come down since that time 2006-07 peak. I understand however that a favourable rental return is still achievable in Broken Hill. The main consideration then is the timing of purchase and subsequent sale. I get the impression that you have not been back for a long time, as you have made no reference to a recent visit. Maybe people want to buy for an easier less stressful lifestyle with the prospect of a small or zero mortgage. That is an investment in good health. Just something else to consider. I do dispute your claim that “the town is in its last death throes”. For starters there is a lot going for the city apart from mining and I can tell you the locals are not just going to lay down and die. Negativity breeds negativity. I for one prefer to look at the positives. Back to mining and I must say that two recent news stories regarding listed mining company Perilya Limited certainly created excitement when the company was reported earlier this month on 3 January 2013 in the local Broken Hill newspaper the ‘Barrier Daily Truth’ and previously on 11 December 2012 by the ABC that their Broken Hill mining operations had at least another ten years of life in them. That surely is not “death throes” news. I am doing my best to promote the city and prompt people from what’s locally known as “away” to come and visit and who knows even to stay on, perhaps indefinitely. Regarding unemployment, the figures for the September 2012 quarter are 8% unemployment in Broken Hill compared with a NSW state average of 5.4%. In the previous (June 2012) quarter, unemployment in Broken Hill was 8.3% compared with the state average of 5.4%, so there actually has been a recent improvement in employment figures* in the City of Broken Hill, with unemployment falling by 0.3% which is not an inconsiderable amount. There are hidden opportunities in Broken Hill. Within 48 hours of arriving I have had two promising employment discussions. I hope you are not just trying to talk the market down. PS the 'Barrier Daily Truth' (BDT) article regarding Perilya can be found in an online article dated 2 January 2013. The same story was also reported in BDT published 3 January 2013. Thanks Jane, but I think you missed my point a bit…. Just for the record, I left Broken Hill at the end of 1983 and usually return every 12 to 18 months and will be back in town for the St Patrick’s Races in March this year. I still call the place home and have family, and lots of relatives still living there. So I wasn’t downing the place, in fact I’m still very fond of it. However, I have watched the decline over the past 20 years (with the exception of the spike in real estate) and long term projections show the market to be in decline or flat at the very best. Don’t shoot the messenger, I’m just trying to let people know what’s ahead, I’m not being negative just realistic (it’s only my opinion though, you can take it or leave it!) As far as rental returns go, you might want to research how many properties are available. You may find there are more properties than there are people seeking rental accommodation. Personally, I think Broken Hill is a great place to visit and would encourage any potential tourist to have a look and enjoy all those things you mentioned. I was just pointing out some areas of concern when investing in country/rural real estate. Hi again anonymous (you are allowed to mention your name, a first name is still pretty anonymous ;-) ) Anyway, I hear what you are saying and I do think I understood your point, but I don't think things are quite as bad as you say in Broken Hill. I realise that is your opinion and thanks for taking the time to comment. Re rental properties, the numerous people I speak to on this subject i.e. landlords in particular, don't indicate that they have significant vacancy issues as long as the house is in good condition and well presented. There may be some sort of oversupply and houses can sit on the market for some time if vendors are unrealistic in their price expectations. As I previously mentioned the timing is everything when buying and selling property. Also, there is nothing to say that there won't be another mining boom, what with new mining techniques etc... and that will positively impact on house prices. I realise back in the times when you lived here there was a lot of pub activity i.e. drinking which now doesn't happen in the same way, so that social activity isn't a major part of the city's lifestyle these days, but as I said there is plenty to do nonetheless. Yes the races are coming up, I went for the first time last year and had a great time. I don't see Broken Hill rolling over and dying anytime soon. But true, research IS everything when making an informed investment decision and I am not writing to advise on this subject, just to comment. Don't forget, you may get a lower capital return from a property transaction in Broken Hill (if capital return is what you are after), but entry point to buy is vastly lower and less daunting than investing in other areas, another point worth considering.